The Not In My Name protests are a series of protests happening today in many cities including Delhi, Bengaluru, Kolkata, Mumbai, Hyderabad against the targeted lynching of Muslims in India. 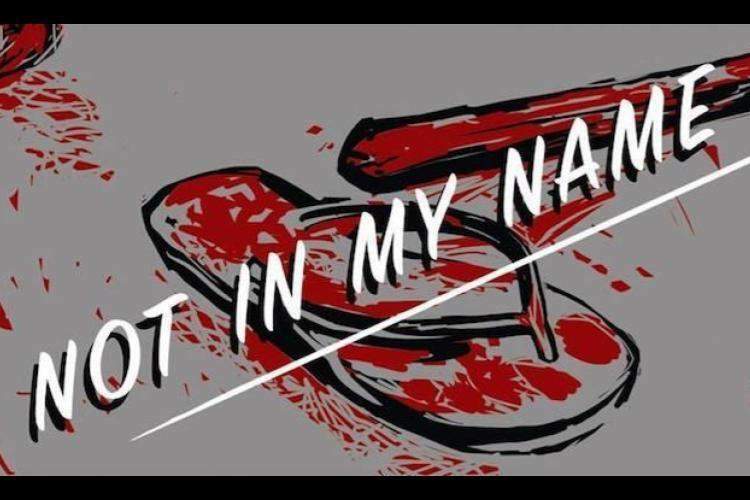 Chennai: The #NotInMyName protests are a series of protests happening today in Delhi, Bengaluru, Kolkata, Mumbai, Hyderabad, Lucknow, Patna, Trivandrum, Chandigarh, Allahabad, Kochi and Jaipur against the targeted lynching of Muslims in India. Apart from cities in India, cities such as London and Toronto are also organising the protests. There have been fourteen lynching incidents in India since 2015 and the incident which sparked off the movement took place on June 23 when 16-year-old Junaid Khan was returning with his companions on a train after completing their Eid shopping. Junaid and his companions were suspected of carrying beef, they were accused of looking ‘different’ and as things escalated, he was stabbed to death by a mob on a train in Ballabhgarh, Haryana. The incident sparked off a social media outcry against lawlessness and it was only when Saba Dewan, a Gurgaon-based film-maker, posted a cry for protests in Facebook that the #NotInMyName movement got traction. The movement organisers has asked citizens joining in to carry banners with the slogan - Not In My Name.